Kebloom’s main message to kids everywhere is that anything is possible if they have the dream and the drive to make it happen. But, we know to be driven is to be inspired. No two entrepreneurs are the same, but no matter the age, location or passion, they all share the common goal of wanting to make a difference. Presenting: 10 young entrepreneurs that will inspire you and your kids to get up, get going and to keep going. Mr Cory’s Cookies is the brainchild of 14-year-old Cory Nieves. Cory was only 6 years old when he began baking sweet treats. Little did he know, his passion would soon become a nation-wide success, with Mr Cory’s Cookies retailing handmade cookies all over the US. Now having worked with a number of prestigious brands and not-for-profits, Cory has made a name for himself in many an industry and his brand continues to grow. Morgan Hipworth, the ‘doughnut king,’ is a 17-year-old turning a passion for baking into a profitable business venture. Morgan was in primary school when he began pursuing his pastry passions, the result being Bistro Morgan! Morgan has since been featured on multiple news networks, Shark Tank, and has collaborated with many other businesses and well-known chefs. He continues to work day in and out to make this doughnut dream, his reality. CassieSwirls - the pint-size Picasso has created ripples in the art and entrepreneurial world with her incredible galactic pieces. 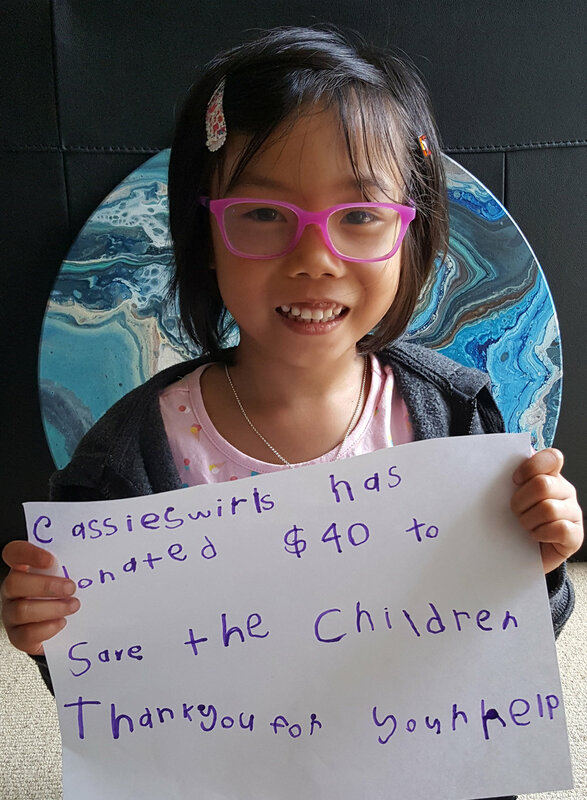 Beginning to paint age 3, Cassie has proven herself to be a successful kid entrepreneur, now aged 6, selling numerous artworks within Australia and globally. With charities a fundamental part of Cassie’s journey, she manages to make a positive impact on those who acquire her artwork as well as the world around her. Logan Guleff won a recipe contest at 8 years old. This was just the start. With many skills to showcase, Logan has achieved a huge amount, showcasing his talents in cooking and recipe creating. Winning Masterchef Junior with Gordon Ramsey as a kid and now aged 16, working on several cooking projects and a television personality, Logan isn’t showing signs of slowing down anytime soon! Bella Tipping was barely out of primary school when she had the sudden light bulb idea to start up her own travel website with one unique difference. Unlike other traditional travel sites, Kidzcationz is a kid friendly site, taking the youngest travellers opinions into account as they rate and review accommodation. This ingenious idea giving families greater insight when it came to planning and booking their holidays. Lily, aged 16, was in 1st grade when she realised a positive change she could make to her grandfathers life all through a simple innovation. This invention, the spill-proof Kangaroo cup, went on to become an international success, selling tens of thousands cups globally. 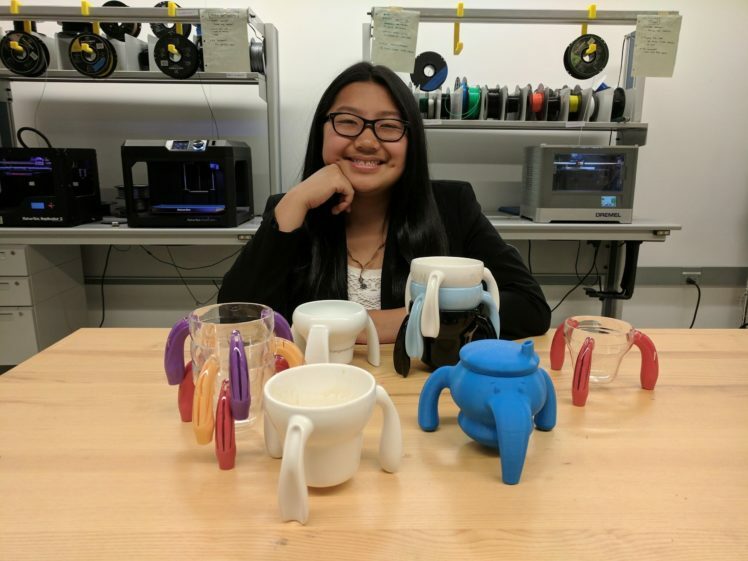 Today, Lily and her brand Imagiroo have been featured in media outlets all around the world, making her name as an innovator and entrepreneur. Artelia ‘Tilly’ Shegog, otherwise known as Boss Baby Enterprises, is a 10-year-old making her mark in the entrepreneurial world. Tilly is a go-getting kid, forming a business team out of close family members. This strategic venture allowed her to turn what was once just an idea into a real life hair care enterprise. Stepping up for young African-American entrepreneurs everywhere, Tilly’s hair products are specially formulated and unique in their category. Ryan Hickman was only 3 when he first realised the benefit of recycling and the impact that he himself can make when getting himself involved in solving the ever-growing problem of waste. Soon after, with the help of friends and family Ryan set up his own business, Ryan’s Recycling. Since then, Ryan, aged 9, has received nation-wide recognition for his hard work and has scaled up his business, having an immeasurably positive impact. Deegan and Sam, aged 12, are business partners in the creation of t-shirt business, Pretty Rooster. With their differing skills, with Deegan as the brain behind the designs and Sam as the business mogul, Pretty Rooster has grown as a brand and the boys have received recognition for their entrepreneurial pursuits. 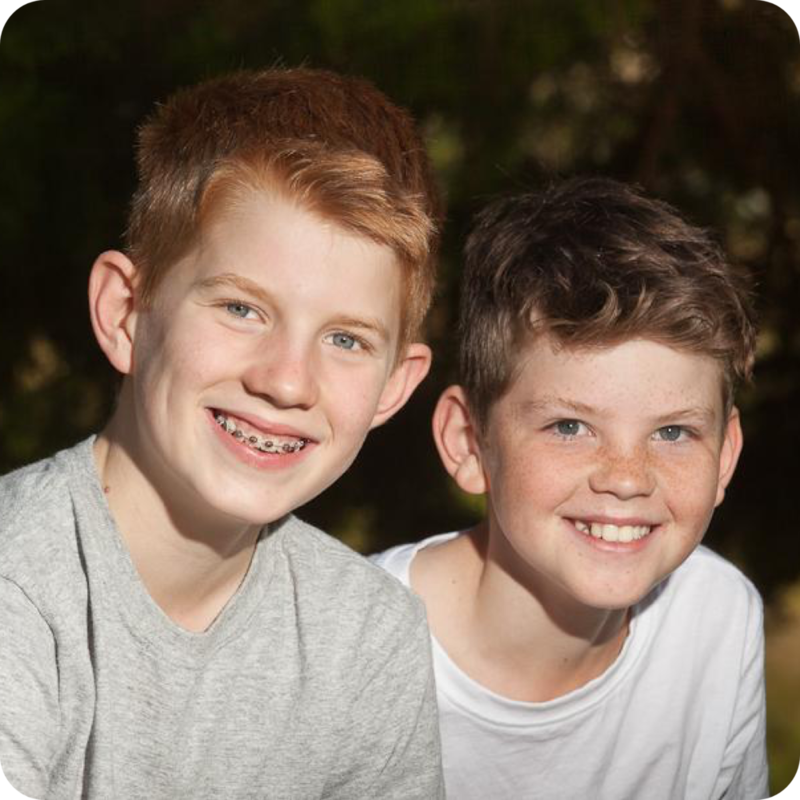 Deegan and Sam’s original designs are a sure sign of the boys creativity, helping them sell t-shirts in Australia and even overseas. 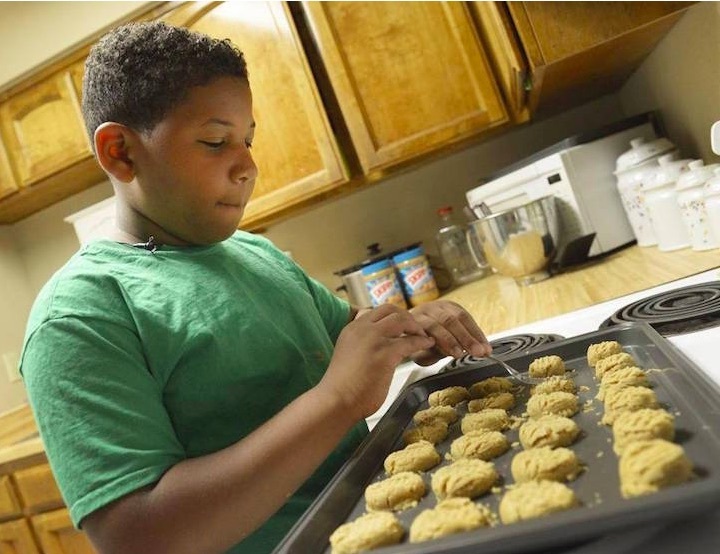 Jalen, aged 10, grew up making memories baking with his mother in the kitchen. Back then he never knew that that passion was going to lead to him starting up his own business, namely, Jalen’s Bakery. Jalen believes strongly in philanthropy and has initiated drives to raise money for those less fortunate. As his business grows, as does Jaden’s willingness to make a change for better! These 10 marvellous kid entrepreneurs prove the necessity of fostering business-minded skills in the younger generation. Kebloom gives kids these necessary means, helping them become alike these motivated young entrepreneurs, realising their dreams and inspiring other kids in the process!